Bennett and Walsh assert that the move by different States in the US to legalize marijuana for recreational purposes is conflicting with three international treaties that collectively commit the United States to punish as well as criminalize any activity that is related to the legalization of recreational marijuana. Nonetheless, the administration still feels that the policies that it has in place complies with these three treaties since they leave a room for both flexibility as well as prosecutorial discretion. According to the uthors of this journal, this assertion by the administration is only sensible on a short-term basis but its implausibility will arise once legalization succeeds and spreads. Bennett and Walsh goes ahead to propose that for the US to avoid conflicting with international laws and the changing domestic consensus on the issue of marijuana policy, it ought to seriously consider crafting treaty changes narrowly. According to them, even though crafting treaty reforms is rather challenging, it provides an opportunity to illustrate flexibility in other areas apart from international law on drug policy. The authors describe the manner in which marijuana was first legalized in Colorado in the year 2012, giving rise to the question as to how the US should manage the increasing uncomfortable fit between legalization of marijuana at state-level and the obligation of the US to prevent the same. Bennett and Walsh conclude by asserting that the legalization of marijuana and the international treaties on narcotics are a minute component of the puzzle. They assert that the reformation on marijuana legalization is a test that both the US and the international order ought to pass. Caulkins starts by asserting that the legalization of marijuana is a controversial as well as a multifaceted issue that is under serious debate. The above report is presented by RAND Drug Policy Research Center that carries out research in order to assist decision makers fin the US and other parts of the world with issues that pertain to alcohol and other drugs. The authors carry out a comprehensive research on the issue of legalization of marijuana. Chapter one of the research report mainly sets the stage for the debate pertaining to marijuana policy in addition to providing a general overview of the research report. The Second Chapter provides an assessment of the situation of marijuana in Vermont, whose prevalence among the young people is said to the highest in the nation. The report present by the authors in Chapter Three is very comprehensive since it visits the works which have been done on the same topic, thus giving the report more credibility. In Chapter 5, the authors describe how revenue can be raised from marijuana through taxes which will be levied on it, in case it is legalized. The report as well discusses the costs that arise from the regulation of marijuana along with the factors that are involved in the decision of its legalization. Garvey, Todd, and Brian Yeh. "State Legalization of Recreational Marijuana." (2014): Print. In this research that is presented by Garvey and Yeh, it looks at the ongoing debate on the legalization of marijuana as an epitome of the confusion that is associated with the capacity of States to pursue policies that deviate from the ones that are advanced by the federal government. The literature that is reviewed in this report is mainly scientific. The report as well discusses the legal consequences that are related with the legal use of marijuana, bringing into light several law suits. According to the report, legalization of marijuana is merely not a binary choice that involves making the production, sale, as well as possession of marijuana legal on one hand, while there exists prohibitions against the drug on the other. There is a move by some interest groups for marijuana to be legalized so as to help the millions of marijuana-addicts in the US. The authors as well provide a brief history on the use of marijuana along with the popular perception of its use. In addition, they address the epidemiology of the use of marijuana and its addiction. Stuart article opposes the use and legalization of marijuana as it demonstrates the risks which smoking of marijuana comes with. According to him, these risks are not worth the problems that they bring to the users of marijuana. He presents the risk of addiction by recounting a time when he would see even patients who are sick in hospitals removing their oxygen gas so that they can smoke. Through approaches like this one, he is able to show how the society will be doomed in case it embraces the use of marijuana. He asserts that the legalization of marijuana will not be beneficial to the society in terms of helping it to make money, but instead, it will lead to the society losing a lot of money. This can result from long term psychiatrical problem that are prone to marijuana users or addicts. In the above article, Svrakic et al. brings into the pressure that a number of state legislatures have been experiencing to legalize the use of marijuana for recreational purposes. 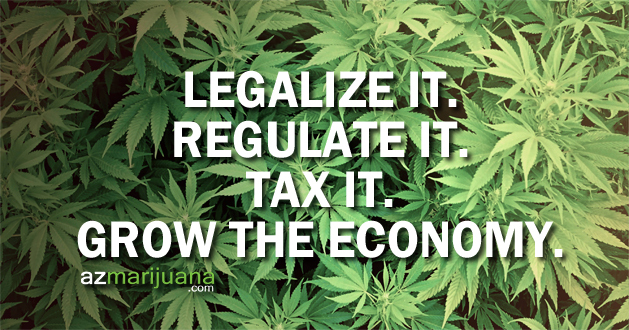 They define the legalization of marijuana as the move to removing all the prohibitions of using it. They assert that marijuana remains to be a US federally controlled substance which makes its distribution to be illegal even though a number of states have passed its legalization within their jurisdiction. According to the authors, the obscurity of the laws surrounding the legalization of marijuana has made businesses that deal with the selling of marijuana to flourish. To offer more insight on the aspect of marijuana, Svrakic et al. provides data on States where marijuana has been legalized on the basis of medicinal use as well as where canabbis has been decriminalized. The article further brings into light the suggested approved uses of Cannabinoids and smoked marijuana. In a move that appears to be going against the legalization of marijuana, the article provides the adverse effects of using marijuana. Generally, the article is very informative and resourceful for comprehending the different aspects of marijuana.